The Star Alumni Association of Indianapolis, Indiana is excited to announce that a Star Alumni Corps will perform at the Drum Corps International World Championships in Lucas Oil Stadium on August 6, 2010. The Star Alumni Corps will perform a field show that embodies the essence of the Star of Indiana Drum and Bugle Corps that was based in Bloomington, Indiana. The corps will also make an appearance in the 500 Festival Parade on May 29, 2010 as well as an exhibition performance on August 4, 2010 in Indianapolis. This field show will be a comprehensive representation of all of the years of the corps’ competitive existence, 1985 through 1993. The performance will be at a level of excellence on par with the original corps, aiming to impress the audience and fans with a repertoire of the signature drill moves and music for which the corps became famous. "We plan to not just relive memories, but show what an impact this corps still has upon the activity" says Nancy Brown, Star Alumni Association President. "Every championship corps today has a Star alumnus on its staff and we want to perform what we preach." Rehearsals will take place in Indianapolis and will begin in April of 2009. 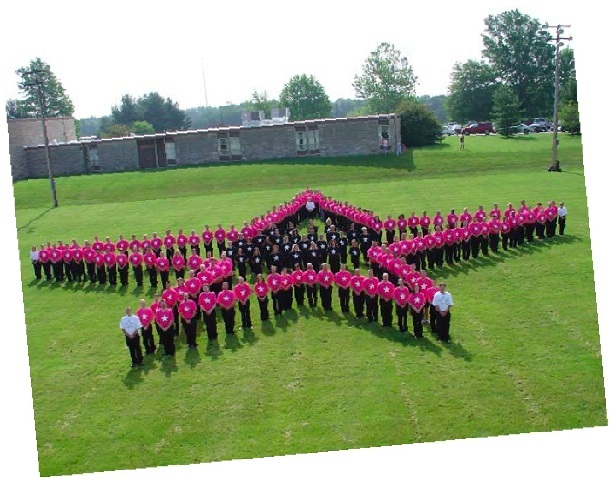 Alumni of Star of Indiana, Brass Theater, Blast!, Shockwave, Cyberjam, Mix, and Star United are encouraged to participate in the Star Alumni Corps. To that end, the Association is looking for missing alumni. For more information on the Star Alumni Association please visit http://www.staralumni.org and for details or membership in the Star Alumni Corps look up http://www.staralumni.org/starofindiana2010. You may also contact office [at] staralumni [dot] org or Star Alumni Association, PO Box 1981, Indianapolis IN 46206. Posted by News Editor on Monday, November 10th, 2008. Filed under DCI World.